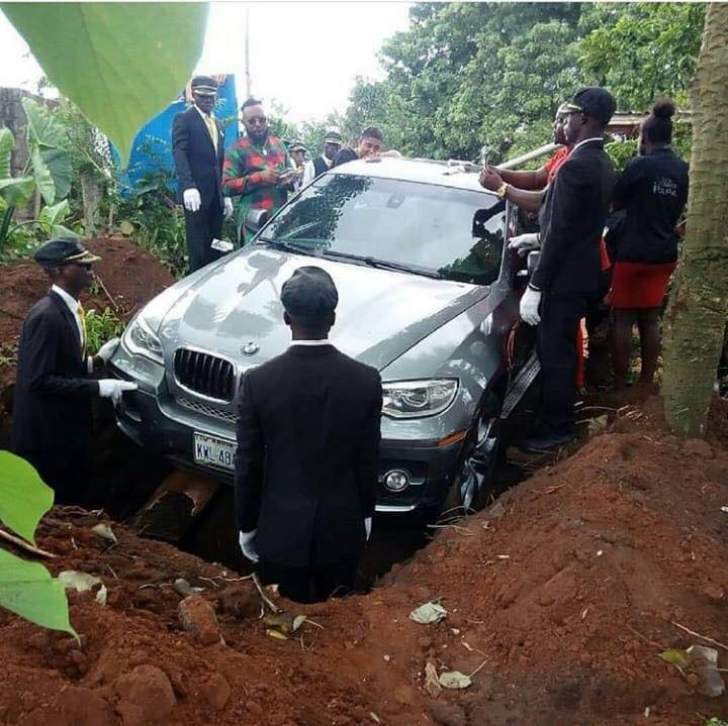 A Nigerian man has reportedly left residents of Ihiala local government area in shock after he buried his father in a brand new BMW. The picture of the burial has since gone viral on social media. It shows people gathered around to witness the incident. According to Naij, the man only identified as Azubuike, lost his father recently and decided to honour him through burying him in "a luxurious car that would be used as a coffin".